Well, Muffin made us wait a couple of extra days for them, but we have our first 2015 kids at James Hill. Let us introduce James Hill Rum Cake (Rummy) and James Hill Bourbon Sauce (Bea). Two pretty twin doelings! This is Muffin's third kidding. 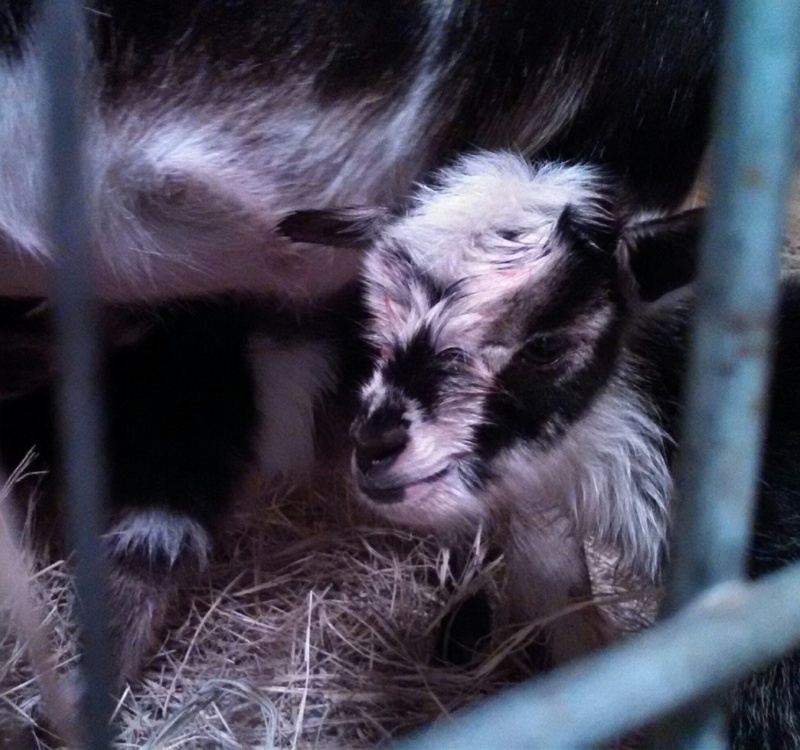 She delivered without assistance, and is being very attentive to her two baby girls. 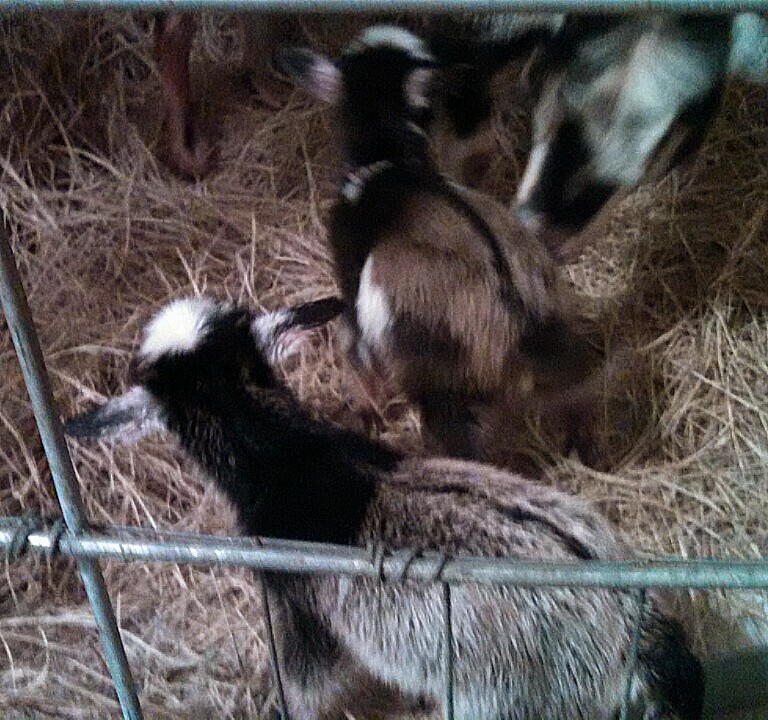 Both kids are up, active and nursing well. Isn't this just the sweetest little face?